Although living in Somerset, Mike’s a Fall River local and his folksy-bluesy original songs can be heard in many venues in the area. The Belmont Club is a favorite haunt. 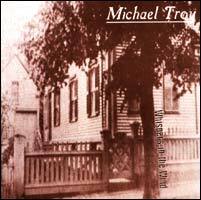 To hear a sampling of “Lizzie” (lyrics below) and to order Mike’s three CD’s visit his site at http://www.folkmichaeltroy.com/ “Lizzie” is on the Whispers in the Wind CD http://www.folkmichaeltroy.com/cdpage1.htm . Great tunes- and a phenomenal guitarist! Lizzie waits, a giggling child, in an excited sway. For the country summer stay. It gets hot in the city. It gets hot. I got a friend of mine. We’ll go wading in the Taunton River. He went out of his way to give her. Revenge would feed a hungry heart that fatal day. With her life for the love that a poor child never got. Well I got no time for alibis, he’s a suspicious man. She took his coat. He took some time to relax. She kissed his cheek. Then she gave him the ax. A brutal attack, a maniac, a wild goose chase. A poor rich girl who cheated the hangman’s knot. Lizzie died and the mourners came, too late again. Under the cover of darkness by black clad men. She’s in an unmarked grave at her father’s feet.